A study of the will to die and the will to live, From the Envelope of Suicides explores a collection of newspaper stories from 1941 to 1948 of people in New Britain, Connecticut, who tried to end their lives. These are stories of the uniquely human struggles of long-forgotten people, and together they create a social history of the town and a fractured snapshot of a world at war. My grandfather, a refugee from Persia who became the first psychiatrist in New Britain, collected these stories. He also studied records from the local morgue going back to the 20s. In all, he worked on the problem of suicide for 15 years before he dropped it for unknown reasons. He never spoke to anyone in the family about any of this. One of the 124 stories in the envelope. In From the Envelope of Suicides, I will explore these stories and what they bring forth, and this exploration will take a few different (and complementary) forms. There will be a scripted podcast, with an initial run beginning on October 17, and there will be a series of 6 different live shows in Portland, Oregon, in October and November. The material for the podcasts and the shows is drawn from a portion of the writing I've done for what I will eventually present as a book. Here’s a piece from Portland Monthly on the project. In November, Hand2Mouth Theatre produced The Art of Blushing and the Lazarus Complex, a two-part show with four actors, projections and a live score by three-fourths of the band Months. Here’s a review from The Portland Mercury. I’m now finishing up the manuscript for the book this was always meant to be. Follow @benmoorad on Twitter to stay up to date on this project. 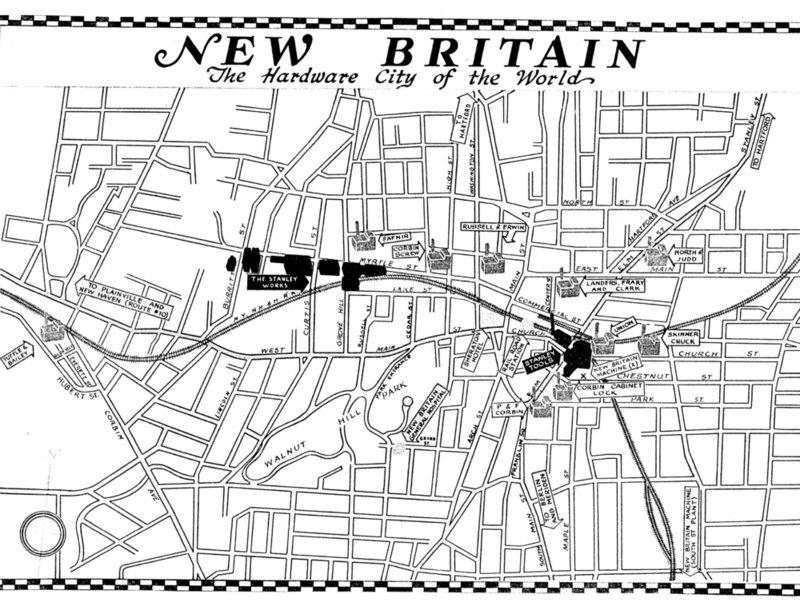 Promotional map of New Britain -- the setting of this project -- from the 1940s. This project has been made possible by a generous grant from the Regional Arts and Culture Council.